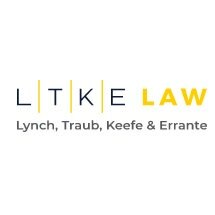 Lynch, Traub, Keefe & Errante, located in New Haven, Connecticut, was founded in 1955 by William C. Lynch, a former FBI agent. Over the years, LTK&E has become one of Connecticut's leading litigation and trial firms. For more information about our firm and our legal practice, contact us today. We work hard for our clients. We are committed to producing the highest caliber legal work. We are experienced trial and appellate lawyers, particularly skilled in adversarial and contested proceedings. We embrace the challenges associated with complex cases. We adhere to the highest ethical standards. We represent all of our clients with loyalty, zeal and professionalism. We work efficiently and keep our clients well informed about their matters. We respect our clients. We recognize that each case is unique, making sure to identify and advance the specific needs and objectives of each client. Several of our attorneys are board-certified by the National Board of Trial Advocacy and listed in the publication, "The Best Lawyers in America." Others are frequent instructors and lecturers at local colleges and universities and at Continuing Legal Education sessions. Our staff includes two full time nurse paralegals who work exclusively on our medical malpractice, wrongful death, and personal injury cases. Our lawyers and staff are united in our determination to provide the best representation possible. We have dealt with the media in civil and criminal cases involving public figures, significant amounts of money, or particularly serious charges. Our criminal defense lawyers have defended clients in death penalty cases, against government corruption charges, and in white collar crime cases. A critical component of our representation is to make sure that clients are not convicted before they even set foot in a courtroom. Our civil litigation attorneys have litigated high profile cases involving matters related to pharmaceutical patent rights, international casino development transactions, and the realignment of major division one athletic conferences. We offer legal representation in both criminal and civil matters. Our personal injury attorneys have obtained significant verdicts and settlements for our injured clients. Our family law attorneys help men and women during the difficult process of divorce. Our business litigation lawyers provide skilled representation in matters such as breach of contract, partnership disputes, and other commercial matters.